This edition of MRM's News Bites features DoorDash, Chef Guy Fieri and Disney, Shari's Management Corporation, TooJay’s, Four Seasons Hotels and Resorts and Chef Daniel Boulud Interstate Hotels & Resorts and Chef John Tesar, Shooters Waterfront, LeaseQ and "Chef Flynn." In the largest launch in company history, DoorDash is now available in 60 cities across the state of Florida, delivering from more than 3,000 local restaurants. The company now operates in more than 1,200 cities across the country. Customers in the area can order DoorDash between the hours of 11 a.m. and 10 p.m. from a wide selection of local and national favorites across the state, including: Alexandria Pizza, Felipe's Mexican, BJ's, Chipotle, Denny's, Five Guys, Jack in the Box, Red Lobster, Wendy's, and more. The new cities added to the company's roster in Florida: Auburndale, Brent, Bunnell, Cape Canaveral, Cocoa, Cocoa Beach, Cypress Gardens, Daytona Beach, Daytona Beach Shores, Edgewater, Ensley, Ferry Pass, Flagler Beach, Florida City, Fort Pierce, Gainesville, Hialeah, Hialeah Gardens, Holly Hill, Homestead, Indialantic, Indian Harbour Beach, Jan Phyl Village, Jensen Beach, Lakeland, Malabar, Medley, Melbourne, Merritt Island, Miami Gardens, Miami Lakes, Miami Springs, Mims, Naranja, New Smyrna Beach, Opa-locka, Ormond Beach, Palm Bay, Palm Shores, Pensacola, Plant City, Ponce Inlet, Port Canaveral, Port Orange, Port Saint John, Port St. Lucie, Princeton, Rockledge, Satellite Beach, Sewall's Point, South Daytona, Stuart, Tallahassee, Titusville, Vero Beach, Virginia Gardens, Warrington, West Melbourne, West Pensacola, and Winter Haven. "Today marks DoorDash's largest launch day in the company's history," said Tony Xu, CEO and co-founder of DoorDash. "We are thrilled to be expanding throughout the Sunshine State, enabling more than 12 million residents to enjoy having their favorite foods delivered straight to their door while empowering local businesses." This announcement comes on the heels of the company's recent growth round of $250 million co-led by Coatue Management and DST Global. With more than 250 percent year-over-year growth, DoorDash has become the fastest growing last mile logistics platform in the U.S., according to Edison Trends. To celebrate the expansive launch of DoorDash across the state of Florida, deliveries for the next month will be $1.99, with a free delivery for first-time users. Users can also use the code FLDASH2018 for $5 off orders of $15 or more through October 5. 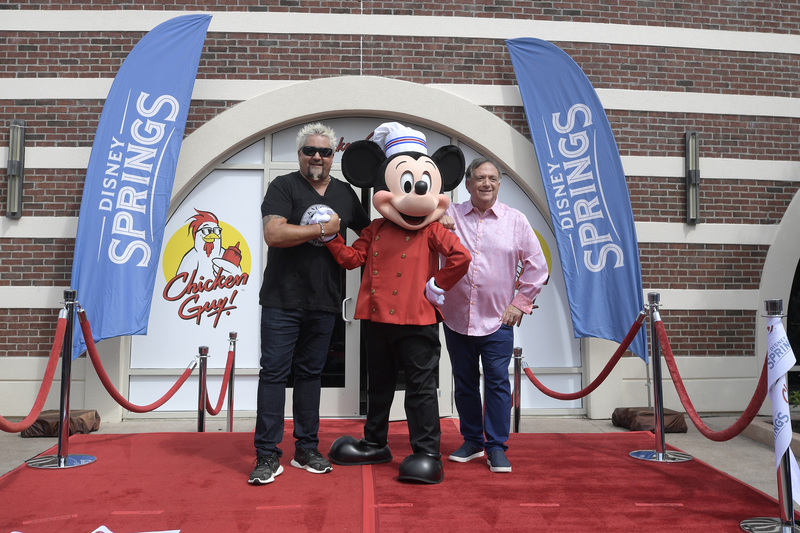 Chef Guy Fieri, and restaurateur, Robert Earl, along with Disney executives and very special guest, Chef Mickey Mouse, were at Chicken Guy! at Disney Springs special ribbon-cutting ceremony. On hand to officially welcome Chicken Guy! to the Disney Springs family were Matt Simon, Vice President of Disney Springs and Lisa Onopa, Director of Operating Participants Department, Walt Disney World Resort, and Brandon Peters, Walt Disney World Ambassador. Chef Guy Fieri, left, and restaurateur, Robert Earl, along with Chef Mickey Mouse, were at Chicken Guy! at Disney Springs for a special ribbon-cutting ceremony. Chicken Guy! is a fast-casual chain with a menu featuring one-of-a-kind all-natural fresh chicken tenders, hand-pounded to maximize crunch and paired with a wide selection of sauces. The menu features the tenders—grilled or fried—in sandwiches, straight up on skewers, or in meal-sized salad bowls, and a wide array of sauces to enjoy with the chicken as well as sides like Guy Fieri’s fries, crowd pleasing mac ‘n cheese, fried pickles and fresh slaw. Shari's Management Corporation, which oversees 153 locations and three brands including Shari's Restaurants, Coco's Restaurants and Bakery, and Carrows Restaurants, is launching a widespread Hunger Action Month effort that will cross eight state lines to end hunger in local communities. The campaign will run in collaboration with 24 local Feeding America affiliated food banks throughout the Pacific Northwest, California, Arizona, and Southern Nevada, from September 1 – 30, 2018. While Shari's is not new to feeding the hungry through larger Feeding America Food Banks like the Oregon Food Bank, this initiative marks the first of many multi-state efforts Shari's Management Corporation will make in the years to come to help feed millions of individuals – the most vulnerable being children and the elderly – who are food-insecure. Sam Borgese, CEO of Shari's Management Corporation, stated, "It is always gratifying to collaborate with new and old friends at Feeding America food banks throughout the west coast and southwest. Ending hunger is a passion of ours, particularly in the face of the facts that 83% of the food in the restaurant industry goes to waste while 41 million people in the U.S. – nearly all living below federal poverty levels – struggle with hunger every day. That is simply unacceptable and it's solvable." Borgese explained, "This is why we're launching our 'Shari's Cares,' 'Coco's Cares' and 'Carrows Cares' Hunger Action initiatives in collaboration with several Feeding America Food Banks starting September 1, 2018." He continued, "We can do our part to help end hunger not only during the entire month of September – which is Hunger Action Month – but also on an ongoing basis throughout this year and every year going forward." Borgese mentioned that his teams are collaborating to find ways to safely distribute restaurant food surpluses to those in need and that Shari's Management Corporation is also planning several team volunteer events to help distribute food to those at risk for going hungry. Shari's Management Corporation invites all guests and friends to share in our effort to combat hunger. To learn more or to donate, visit, https://www.sharis.com/hunger-action, http://cocosbakery.com/hunger-action or http://carrows.com/hunger-action. 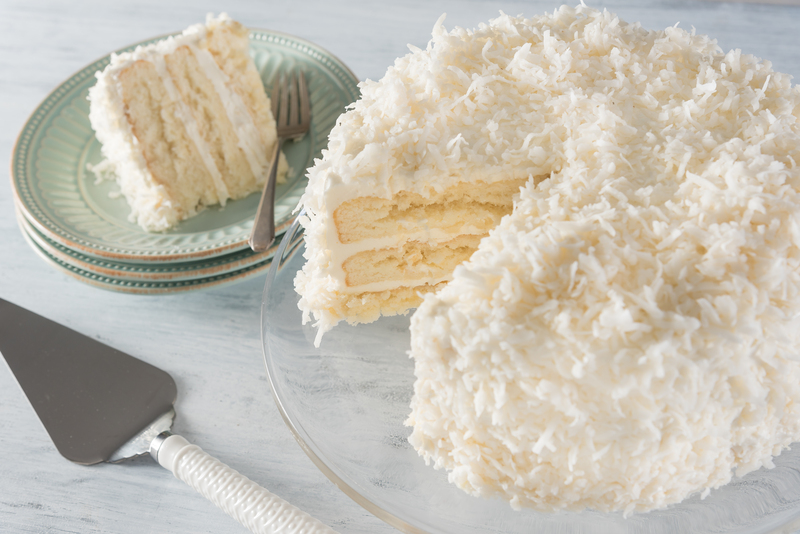 Enjoying a slice of cake from TooJay’s famous bakery is especially sweet in September when one dollar from every slice of cake sold is donated to Feeding Florida during Hunger Action Month. 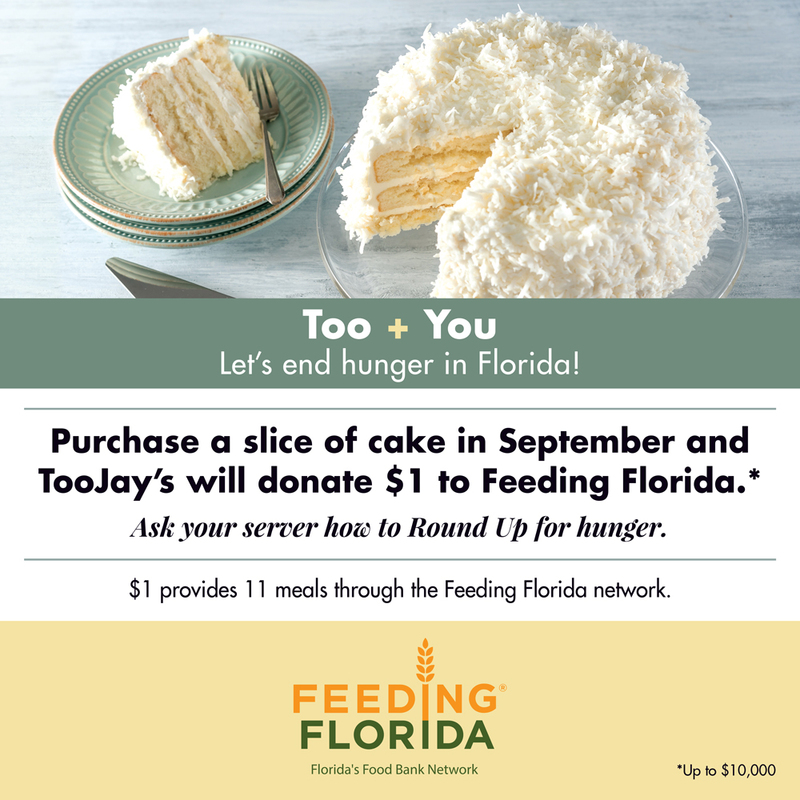 TooJay’s launched its Too+You partnership with Feeding Florida in September 2017 and since then has raised and donated $18,638 to end food insecurity in Florida. A statewide network of Feeding America food banks, Feeding Florida provides a healthy, adequate and consistent food supply to those in need. Every dollar donated provides 11 meals through the Feeding Florida network. Guests also can conveniently make donations by rounding up their checks in September. TooJay’s will donate up to $10,000 during the month-long campaign. Founded in 1981, TooJay’s has grown to 28 restaurants throughout Florida and currently serves guests in Palm Beach and Broward counties, the Treasure Coast, the West Coast of Florida, the Orlando area, The Villages, and Polk County. Four Seasons Hotels and Resorts properties revealed a new look and menu from d|bar by Chef Daniel Boulud. The sophisticated blush-tone design by Alison McNeil, principal at DIALOG, and appetizing offerings curated by Michelin-starred Chef Daniel Boulud, create an elegant and inviting atmosphere synonymous with the Four Seasons brand. 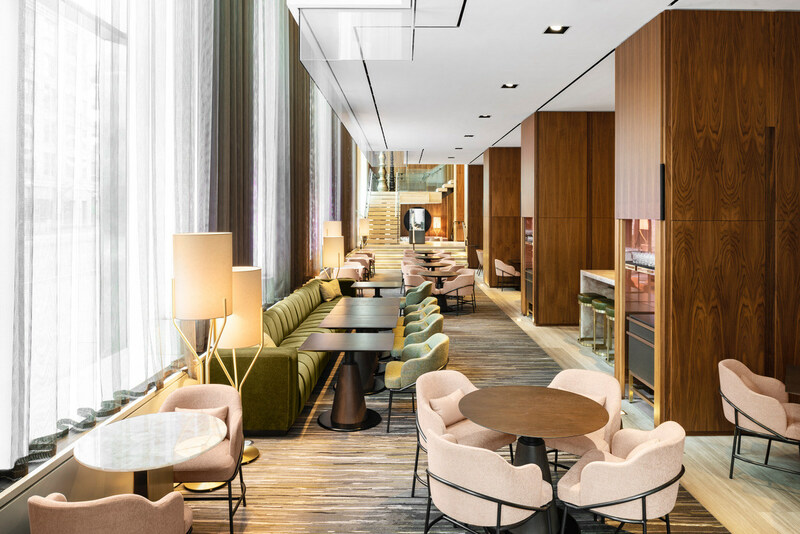 Originally designed by McNeil when the flagship hotel opened in 2012, the lively street-level lounge has since become a fixture in Yorkville, the city's most stylish shopping and dining district. When tasked to revitalize the space several years later, McNeil looked towards current hospitality trends and the changing needs of hotel guests. While retaining its luxurious essence, the reinvigorated design is more comfortable, with 30 per cent more seating throughout the restaurant. A palette of blush, olive, natural greys, rose quartz and brass detailing set a light-hearted mood that is carried through the furniture and carpeting, some of which are locally crafted. d|bar by Chef Daniel Boulud at Four Seasons Hotel Toronto. Photo by Evan Bergstra. "Sharp's Corner," a nook beneath the lobby stairs, pays tribute to the company founder Isadore Sharp, a Toronto native, with images from his early career. Set to be unveiled soon, the space provides a relaxed and private area for meetings. "You can't tell the story of Four Seasons Hotel Toronto without telling the story of Mr. Sharp himself," says McNeil. "This hotel has a heart behind it – a person who deeply believes in this city and the Four Seasons brand. We created a design narrative around those origins. It's something we always came back to, and was a guiding influence in all of our design decisions – something that allowed us to achieve an interesting layered, but cohesive aesthetic." Breathing new life into the popular bar area is a digital installation of LED screens that blend art and technology, as conceived by hotel owner Shahid Khan. Made to look like one piece of art, the digital screen transforms into a television upon request for special events. 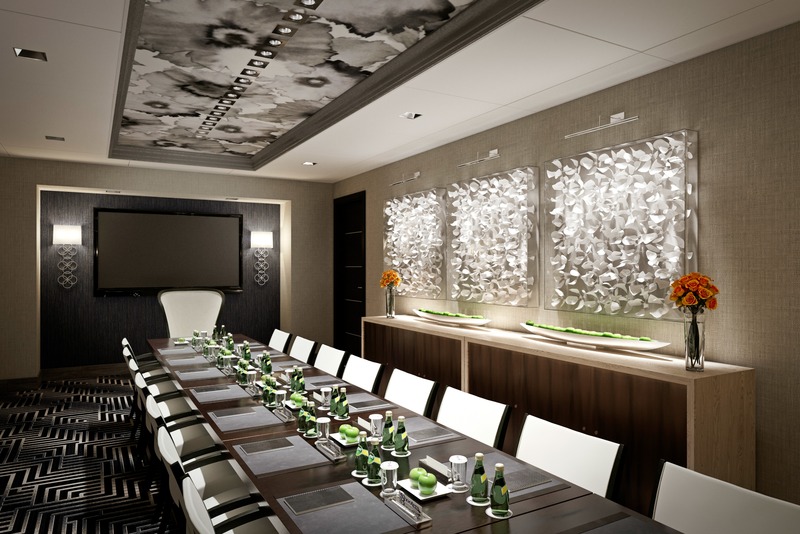 A custom-created video artwork portrays leaves floating across the wall, adding to the vibrant energy during the evenings and creating a quiet addition to the space during the day. An alternating video showcases a 24-hour timelapse of the Toronto waterfront and downtown skyline, where sunsrise and sunset over the CN Tower can be seen within minutes. "Since its inception, d|bar has established a reputation for bringing people from around the world together over cocktails and conversations. It is an honour to implement aspects of our property's most legendary personalities, including Isadore Sharp, Shahid Khan and Daniel Boulud, in an effort to create an even more inviting and comfortable space for our guests to gather," says Konrad Gstrein, hotel general manager. When curating the menu, Chef Daniel Boulud turned to the bar's early legacy as the preeminent Yorkville destination for marking a celebration or closing a deal, with a focus on casual fare ideal for sharing. Stand-outs include the Tuna Crudo, Buffalo Burrata and Sugar Cane Skewered Shrimp, which complement d|bar classics like the Lobster Roll and Charcuterie Board. Bartender Melissa Hart blends her culinary background with her passion for mixology by creating unique craft cocktails that emphasize quality and seasonality. While signature cocktails like the rose-infused Yorkville Affair and Hart's instant-classic combination of traditional sake and Japanese whisky, Rikyu's Harmony, remain on the menu, Bar Pleiades resident mixologist Darryl Chan has incorporated new tastes onto the list. Teach Me How To Forget is layered with spices and Same As It Ever Was is refreshing, fruity and mouth-puckering all at once. 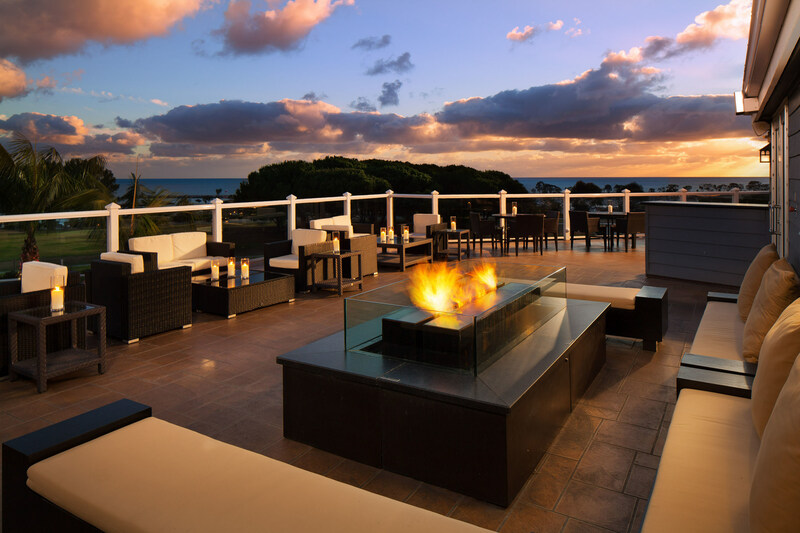 Interstate Hotels & Resorts completed a $25 million renovation of the Laguna Cliffs Marriott Resort & Spa in Dana Point, California. 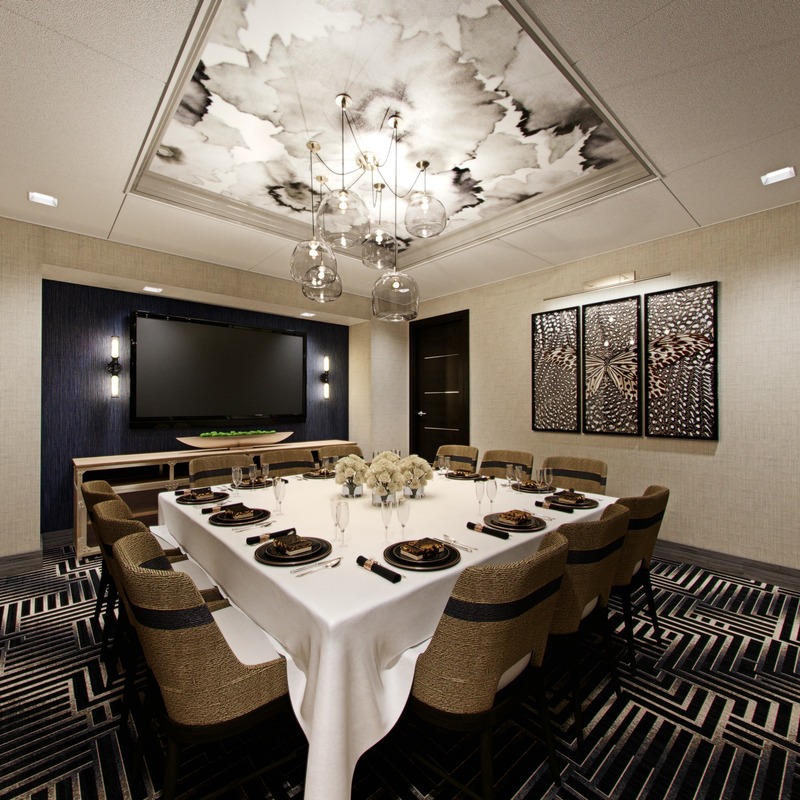 The project includes a complete rooms makeover, and the introduction of a new food and beverage concept, Outer Reef, from Chef John Tesar, a four-time James Beard nominated chef, and a two-time contestant on Bravo's "Top Chef," currently slated to open first quarter of 2019. "Interstate has the depth to handle multidimensional development projects like Laguna Cliffs, bringing impressive returns for all parties involved," said Interstate Hotels & Resorts CEO, Mike Deitemeyer. "We continue to deliver strong financial performance to properties around the globe with our modern approach to hotel management, including inspired and creative guest experiences." Situated on the coastal cliffs of Dana Point, the re-imagined Laguna Cliffs Marriott Resort & Spa includes 378-guest rooms with 15 ocean view suites that blend sleek, fresh concepts and beach chic inspired elements to provide a tranquil vacation experience. Channeling vacation vibes, sand between the toes and relaxed luxury, the rooms are dressed in an intentionally tonal color palette of warm creams, clean whites and soft grey tones with splashes of bright Southern California chroma to accentuate the resort's best asset – the unobstructed sunset and 180 degrees of panoramic beachfront ocean views. The resort features two outdoor, ocean view heated pools complete with a splash zone for children to enjoy. Later this year, guests will enjoy a $1.5 million newly renovated restaurant, Tesar's Outer Reef. The restaurant concept is inspired by the Chef's critically acclaimed seafood restaurant Spoon Bar & Kitchen and his steakhouse concept Knife. 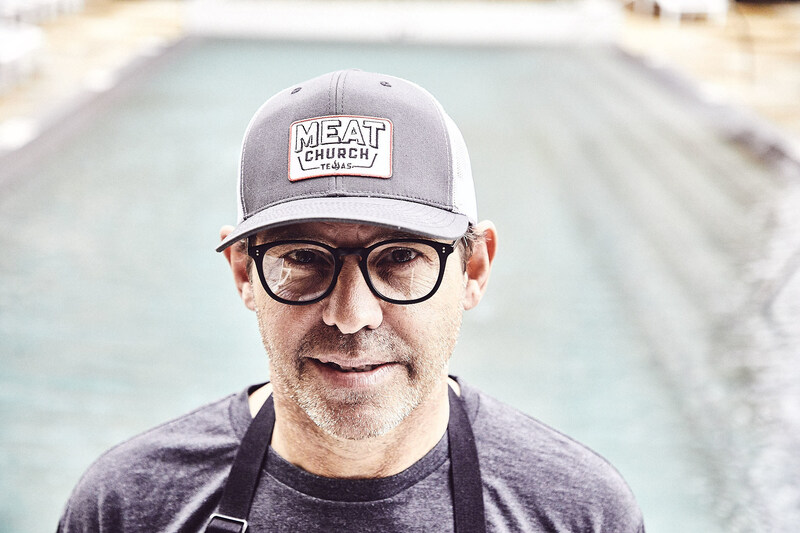 "I'm honored to be a part of this exciting new F&B concept," said Chef John Tesar. "Outer Reef will showcase the property's renowned beachfront location with a curated sea-to-table surf and turf dining concept, providing guests with an experience of the highest quality." Helmed by contractor Michael Lombardi of Lombardi Construction and interior designer Deborah Frustino of Mountainside Design, the new space features three distinct spaces designed with functional and relaxed elegance in mind and equipped with state-of-the-art audio and visual capabilities. 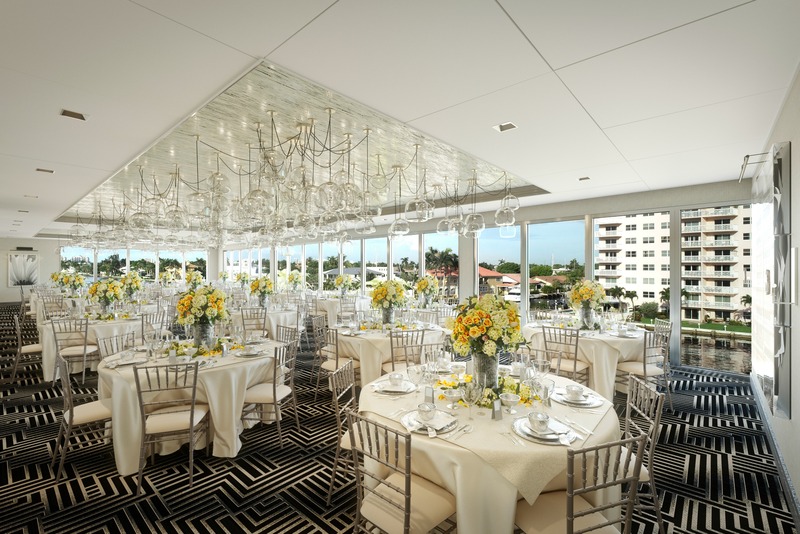 The largest of the three rooms, dubbed the “Intracoastal Ballroom,” serves as the largest space of the three and can be divided into two separate rooms. Most notable are the floor-to-ceiling windows which slide open to offer an unobstructed view of the Intracoastal Waterway. Cuisine and beverage for the private dining rooms will include chef-inspired menu items from Shooters Waterfront’s celebrated culinary team. The new space is slated to open in November 2018, but the team is already taking reservations for holiday parties, weddings and private events. LeaseQ has added instant financing for micro-ticket equipment purchases of $15,000 or less. After being approved for an equipment lease or loan, LeaseQ customers can now opt for instant financing through participating lenders on the platform. LeaseQ is piloting the new instant financing program with a handful of dealers in the food & beverage and fitness verticals, with plans to expand the solution to all micro-ticket deals in the final quarter of 2018. Instant financing is part of LeaseQ’s effort to deliver one-hour fundingt hrough a streamlined and automated funding process, with goals of automating all small-ticket transactions under $250,000. Equipment finance is a $1 trillion sector with steady growth ahead. LeaseQ and its lender and vendor partners are well-positioned to capture hundreds of millions of dollars in this market by introducing automated underwriting, quoting and financing. The company recently cemented a partnership with nationwide foodservice dealer network, SEFA and announced availability of its features on the AutoQuotes platform. LeaseQ vendors Restaurant Appliance Depot; Atlanta Fixture & Sales, a Division of Edward Don & Company; AIMCO Equipment; and Perform Better are among the first to offer instant financing for their customers. “Instant financing is a huge advantage in this industry where most banks are still handling approvals and quotes by snail mail. If I can offer an approved payment on the spot, I have a 50-60 percent better chance of closing that customer. LeaseQ is the Dealertrack of the equipment finance industry, and their platform helps us move faster” said Matthew Prager, president of Restaurant Appliance Depot. “Chef Flynn, which shares a rare view of an aspiring chef’s rise, premiered at this year’s Sundance Film Festival and globally at the Berlin International Film Festival. While many of his peers were still playing with toy cars, Flynn McGarry, top photo, was creating remarkable gastronomic delights at his home in Studio City, California. Enjoying unwavering support from his mother Meg, an artist who documented every step of his distinctive journey, he devoted himself entirely to his creative passion. 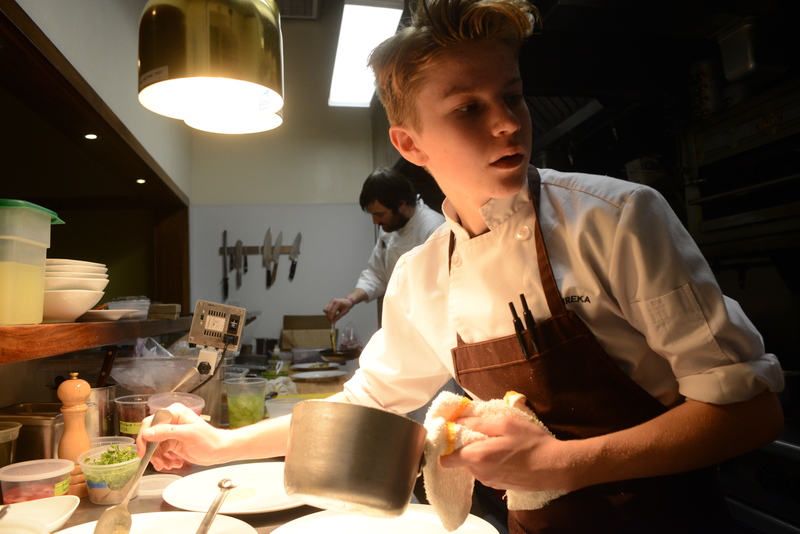 Flynn loved to prepare elaborate dinners for friends and family and soon became known as the “Teen Chef,” establishing his own supper club at age 12 and being featured in a New York Times Magazine cover story at age 15. Before he was 16, he had staged in top restaurants in Los Angeles, New York, and Europe. Pairing exhaustive home videos with intimate vérité footage, director Cameron Yates creates a collage of Flynn’s singular focus and one-of-a-kind childhood. To learn more, visit www.ChefFlynn.com or view the trailer here.